Your website is the hub of your online brand presence. Google, Facebook, and other online media will pull information from your site to present information to their audience. When developing your website and webpages, you have an opportunity to recommend how you want these online companies to present your business. For Google, you can provide title tags and meta descriptions on your webpage that the search engine will pull and show on their search results. Many small businesses already provide meta information on their site. However, many neglect to provide Facebook and other social media with the information they need to present your website the way you’d like. A number of years ago, Facebook developed Open Graph Protocol that extracts titles, images, URL and meta information from shared webpages. This is a wonderful way for you to control how your business is presented to the social media’s audience. Let’s take a look at how Facebook presents an unoptimized webpage. 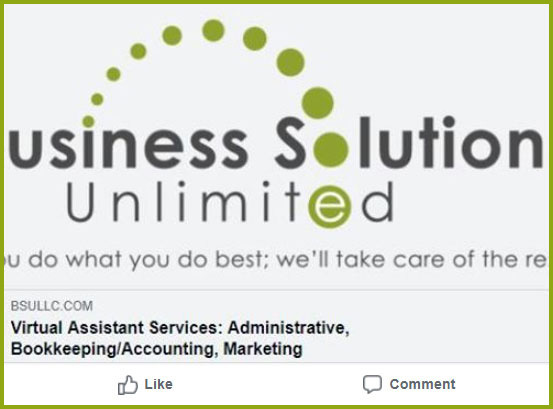 We’ll share a Facebook screenshot of Business Solutions Unlimited home page before we’ve optimized the Open Graph content. This home page image is how Facebook guessed what information to present on a page without Open Graph tags. Not very appealing. Facebook randomly pulled what they considered to be an appropriate image—BSU’s logo. Unfortunately, the logo is not optimized to fit Facebook’s image ratio. So the logo is cropped. Additionally, Facebook pulled copy from the page that isn’t likely to generate an enthusiastic click. This is a missed opportunity to present our Brand the way we would like. 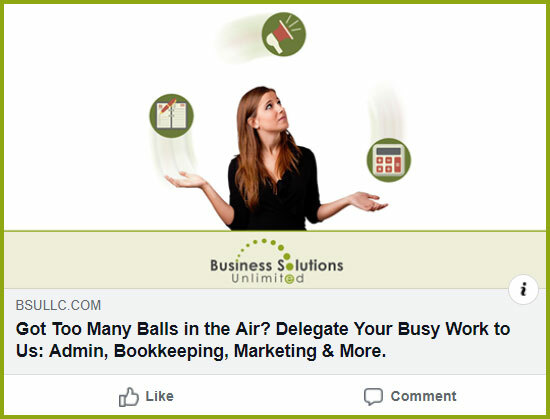 We’ve provided content for Facebook to extract from our home page that represents how we’d like our brand to be portrayed. We’ve provided a 1200px x 630px image similar to what the audience will find on our home page. Additionally, we’ve provided a Facebook title that explains how we help small businesses. By adding Open Graph information to our homepage, we’ve provided a better-looking image and stronger content to Facebook and other social media platforms. While creating and providing Open Graph content to your webpages adds another task to your website development, it’s well worth it. Being able to control how your brand is presented online with better images and content can generate more shares, more clicks, and more business. Is Managing Your Branded Social Media Website Shares More than You Can Manage? Reach Out for Help. 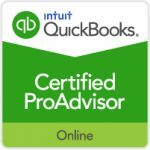 We’re here to help…from just this project to managing your social media, website and overall marketing strategy and tools. Give Business Solutions Unlimited a call today at (904) 429-4588 and let us get busy optimizing Open Graph and more for you.